It may seem an easier task to write a short story than to work on a novel; however, the size is not an issue here. When writers tell about how to write a short story, they always mention perfection in every detail, which require great talent and diligence. It is amazing how smooth flow of a short story can be irretrievable lost because of a minor mistake made to spoil everything. While it is possible for a minor character of a novel to fall flat, such a character in a short story will make the readers too irritated and annoyed to read it. How to get the story published? How to make the readers admire the story? How to attract the literary agent’s attention? It is impossible to start working on a short story without an idea. Try to get inspiration from everywhere: your experience, real-life events from the life of your relatives or friends, or even gossip you hear on the streets. Besides, you may try to get a habit of looking through the sites with funny or weird news. It is possible to get there a valuable hint that will unwind the whole story. Sometimes, actual life stories can be more sophisticated, confusing, and puzzling than any fiction. Any exciting non-fiction can be turned into outstanding fiction. It is also possible to make use of the story idea generator online or a database of ideas for short stories if you feel embarrassed and stuck. Who will tell the story? Which person – 1st or 3rd – will you choose? Who will listen to your story? Whose eyes will be used to tell the story through? It is not easy to learn how to write a short story, but you should remember that you cannot change your position half-way. Stick to your point of view throughout the whole text. NB: using a protagonist is a good idea for beginners. What is his or her desire and aspiration? What is the action or decision made to achieve the dream? What are the consequences of the actions? What do the consequences change in the character’s life? What is the character’s action that has moral significance? What if the actual change in the protagonist’s character and attitudes? A short story structure is aimed at presenting the readers a living character; thus, the writer is supposed to be absolutely aware of the character’s background. 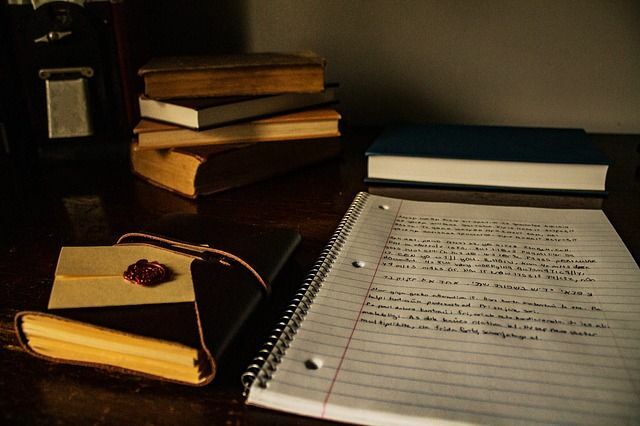 Start with making notes about all details from the character’s life, in particular high school academic success, childhood memories, home address, first love and first kiss, the greatest joy and the greatest sorrow, fears, favorite music and TV shows. It is recommended even to have a character questionnaire filled out with relevant details. Direct description of appearance and explanation of the actions, personal qualities, and even thoughts is boring for the readers. They expect to make discovery of their own based on some words said, things done, and hints given by the writer. The character cannot be always strong and positive. Weaknesses will make him or her real. Each character should have a certain unique feature. He or she can be of extraordinary height or too little weight; they can play hockey or remember all telephone numbers from the phone directory. They can smell of the cheapest perfume, have loud voices, play the bagpipes, or cook only fried eggs. Try to make all descriptions of a character as natural as possible. It can be presented in a conversation of some friends or given directly to the readers when they do not expect that. Avoid clichés and develop your characters wisely. If you do not know how to start a story, have a conflict right at the beginning. This technique “In Media Res” means that the middle of the action will be placed at once to have all readers involved. Think about what will happen if the characters fail in their aspirations. Decide what the risk factors are. Find some great short story examples to understand how to find something at stake in an interesting story. Saying that Tom is lazy, you lose the readers’ interest. Show what Tom does and what he says to let the readers deduce that the character is not hard working at all. An anecdote told over a dinner differs from a good short story as the latter places the readers inside and makes them decide who is wrong. I am a friendly person. I always get in touch with people of all age groups, even they are more than eighty years old as my neighbor is. Every year he sees me outside and asks me to come in. I am fine with visiting him because he tells funny stories and never complains. I always try to lend him a helping hand and he is grateful. He would say how kind, sympathetic, and nice I am. I was leaving in a haste because the class was about to start. All I could think about was my home assignment, which I apparently had failed. I heard a weak voice calling me by my name, and I turned my head right and left to see who that was. At last, I saw a dark figure in the window of the second floor. ‘I am pressed for time. I need to leave. I will come to him later.” I heard all those voices in my head, but I was already going up the stairs to see Uncle Tom. “Hello, how are you?” I said in a cheerful voice. The difference between the short story prompts is apparent. It is easy to give the fact file to the readers, but it does not engage their emotions, thoughts, or imagination. A good story in different writing genres makes the readers remember it and follow the plot. If you are willing to become a proficient storyteller, start with writing exercises and then use a writing template to get some practice. Try to describe your setting without naming it. Give the characteristics of the place, including the appearance, the smell, the textures, the taste, and other aspects. Imagine that you are a witness of a murder and you have to describe the setting to a detective. Do not let any sentence be written without some hint about the plot or the character. Read the short story writing tips to know how to develop the storyline with exposition, rising action, and unexpected climax to have the readers perplexed, amazed, or surprised. They have to be involved and interested – that is the point. Why? - Because you are the one who is telling the story and you want to capture your readers’ attention! Do the editing (several times). Leave the plot line open-ended or develop a solution to the conflict. Ask a friend to give his or her feedback and do the revision. Get your story to a publisher. Do not try to convince everybody that you know how to write a short story. Write to please only some of the readers. Why? - You need a unique voice. If you write to please everybody, you will ruin your individuality. It can be your best story! Do your best to make it really great!